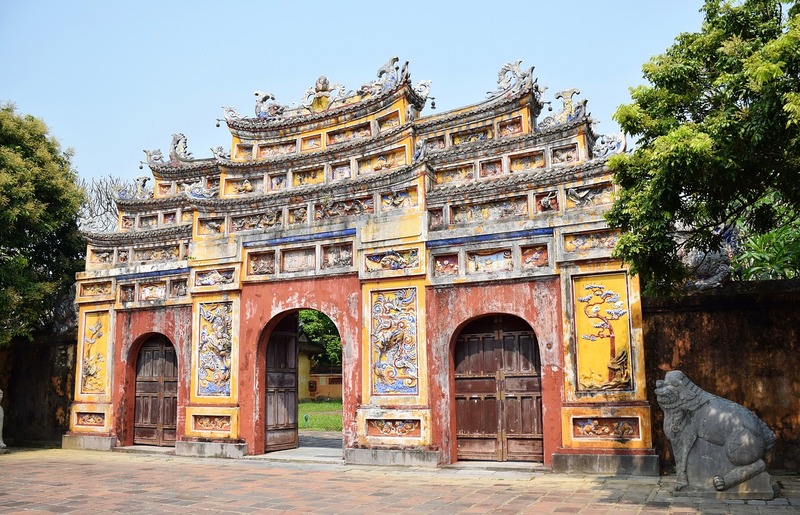 During his visit to Hue, Vietnam’s former royal capital, earlier this year, Japanese Emperor Akihito and his entourage were reminded of their country’s longstanding cultural connections with Vietnam. In the eighth century, Phat Triet, a Cham Buddhist monk from what is now central Vietnam, travelled to Japan, where he helped to popularise Cham music and dance, which was later incorporated into the Japanese imperial court’s gagaku performances. During his visit, the emperor had the opportunity to enjoy the Vietnamese version of gagaku, which also has Cham origins. The emperor’s visit to Vietnam—the first by a Japanese monarch—represents an important milestone in the maturing bilateral relationship, which has been buttressed not only by strong cultural links, but also by robust economic ties and growing strategic cooperation. At the end of last year, Japan was Vietnam’s largest source of official development assistance (ODA), its second-largest foreign investor, and its fourth-largest trade partner. Along with closer economic cooperation in recent years, Japan and Vietnam have been strengthening strategic ties. The bilateral ‘strategic partnership’ that was established in 2009 was upgraded to an ‘extended strategic partnership’ in 2014. Defence cooperation, in particular, has progressed considerably. In 2011, Japan and Vietnam signed a memorandum of understanding to deepen defence ties, which now include exchanges of military delegations, naval goodwill visits, an annual defence-policy dialogue, and cooperation in military aviation and air defence. In late July, China reportedly threatened to attack Vietnamese bases  in the Spratlys if Vietnam did not stop its oil exploration activities in an area that lies within Vietnam’s continental shelf, but also within Beijing’s notorious nine-dash line. Given the 2016 arbitral tribunal ruling that China’s maritime claims based on that nine-dash line are invalid, Vietnam has superior claims to the area. But Vietnam decided to back down, rather than face the risk of armed confrontation. That does not, however, mean that China’s coercive actions—which not only undermine Vietnam’s own security, but also threaten the regional status quo—are not being met with resistance. In 2013, Japan’s defence minister, Itsunori Onodera, visited Vietnam’s Fourth Navy Zone headquarters in Cam Ranh Bay to observe Vietnam’s defence setup for the Spratlys. During that visit, Japan and Vietnam agreed to expand defence cooperation into new areas, especially modernisation of Vietnam’s maritime defence agencies and military technology. At Vietnam’s request, Japan has also provided the country with six patrol boats to support its defence activities in the South China Sea. Japanese Prime Minister Shinzo Abe , visiting Vietnam in January, pledged to provide six more boats worth $338 million. Japan will also reportedly  sell Vietnam two advanced radar-based earth observation satellites. The order, expected to be delivered by 2018 and funded by Japanese ODA, will enhance Vietnam’s maritime awareness in the South China Sea. Vietnam is also said  to be considering a purchase of second-hand P-3C anti-submarine and maritime surveillance aircraft from Japan—a fleet that would likely be assigned to missions in the South China Sea. From Vietnam’s perspective, Japan is perhaps the most important strategic partner with which to counterbalance China’s maritime expansionism and constrain its hegemonic ambitions. Japan is not only economically and militarily capable; it is also willing to help its Southeast Asian neighbors, so that they, too, can contribute to maintaining the regional balance of power. Japan’s power and longstanding antagonistic relationship with China reinforces the credibility of Japanese security commitments towards Vietnam and other countries in the region. Vietnam’s interest in defence cooperation with Japan dovetails with the Abe administration’s goal of ‘normalising’ Japan’s defence posture, in order to reduce the country’s dependence on the United States. Japan considers Vietnam a particularly promising security partner, precisely because of the countries’ shared maritime security interests. Now that US President Donald Trump’s administration is threatening to reduce military engagement with Asia, the need for strategic cooperation among regional actors is becoming even more acute. This goes beyond bilateral relationships, to include potentially the creation of a ‘principled security network’, as US President Barack Obama’s administration once proposed. Such an arrangement would resemble what Anne-Marie Slaughter and Mira Rapp-Hooper have called ‘mesh networks’ , which ‘are highly resilient, because no individual node is critical to the structure’s survival—even if one link breaks, the structure survives’. Japan’s enhanced security ties with Vietnam and other like-minded Asian countries (such as Australia, the Philippines, Singapore, and India), may lead to the emergence of such a resilient network, which can serve as a vital hedge against declining US commitment to the region. Of course, significant challenges lie ahead. Historical animosities continue to cast a shadow over Japan’s relationships with some Asian countries. Vietnam recalls the dark days of occupation by Japan during World War II, when famine killed up to two million Vietnamese. But Vietnam has largely overcome its grudge against Japan. In fact, Akihito’s meeting, on his recent visit, with relatives of Japanese soldiers who remained after World War II to start families with Vietnamese women served as a symbol of bilateral reconciliation. The path towards ever-deeper economic and strategic cooperation, shaped by convergent national interests, now seems clearer than ever. Le Hong Hiep is a fellow at the ISEAS – Yusof Ishak Institute, Singapore, and the author of Living next to the giant: the political economy of Vietnam’s relations with China under Doi Moi. This article is presented in partnership with Project Syndicate © 2017. Image courtesy of Pixabay user nguyendangvu.